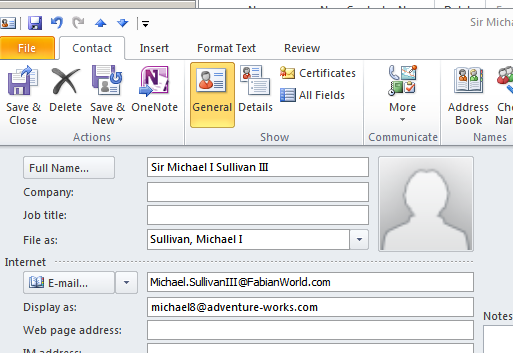 We begin the process by picking up where we left off in our previous post Connect To Outlook: SharePoint External Content Type with SharePoint Designer and SQL LOB System Now we will just treat these contact as any other contact in our Outlook System. 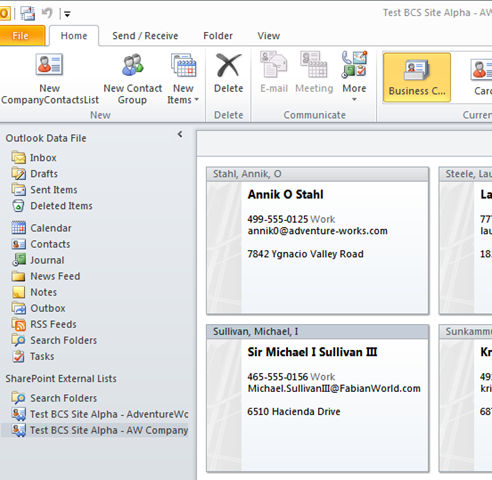 So under closer inspection above we can see that not only do we have our data we mapped in the External Content Type mapping in SharePoint Designer but 2/3rds down you can see a pane called CompanyContactListDetails where the unmapped data is also present works almost like what Outlook Business Contact Manager gave us. 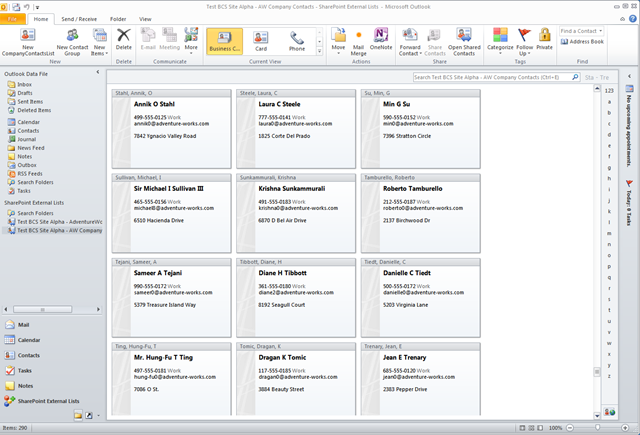 So next I tried to get fancy “jiggy” with it by seeing if I could not only change the fields that were in the LOB system but also what was native as Outlook Properties… but no dice.. it said that the System didnt support it.. I will try to figure that out later.. Yes I used @MeetDux Twitter Profile Pic.. LOL Im sure he will get a kick. As well as in the SharePoint UX .. see below and …. 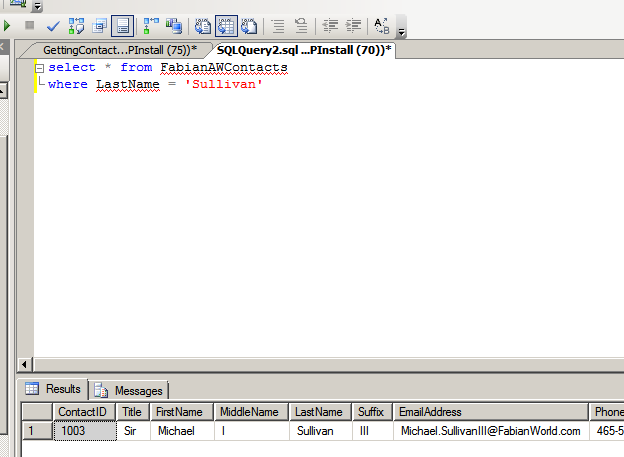 As well as in the LOB System in SQL Server.. 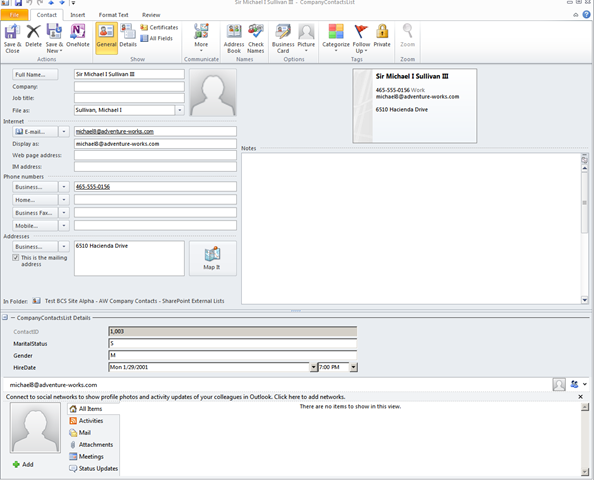 So now you have seen how you can make Updates in a Rich Client such as Outlook to affect changes in the LOB System all the way in the Back End.